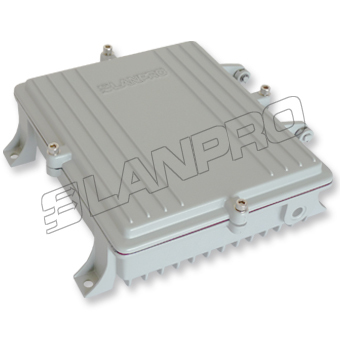 Some are aluminum for demanding applications, some are ABS plastic boxes for low cost but reliable operations. Pole mounting and/or wall surface mounting with different configurations of feedthru´s do no need drilling holes. Knockouts that are easily removed. The enclosures have 4 threaded standoffs for mounting a user plate, which in turn can hold the users electronics.